This one is easy to cook, and freezable. This amount serves about 4-6 good serves. It's gluten-free, lactose-free, and vegan-friendly. The ingredients are low-fat and low-GI. Best of all, it's a great dinner for a cold, rainy day! add colour and flavour to this soup. 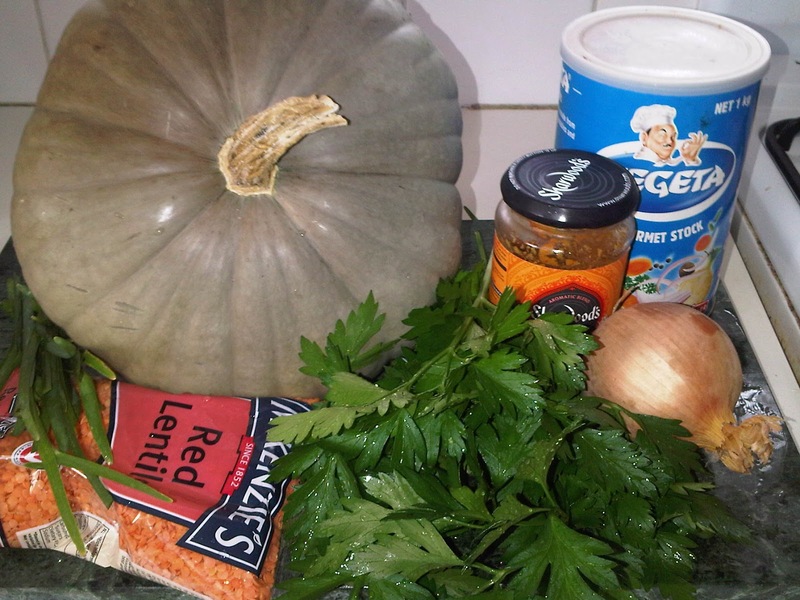 Place ingredients in large saucepan. Add water until soup reaches your preferred consistency. Bring to the boil again, stir and serve. If soup is thinner than you'd like, leave the lid off and boil, to reduce the liquid. Wow, looks cool, I've never ever eaten such thing!